Thomas Raffl MVP Following the 2017 IIHF Ice Hockey World Championship Division I Group A the individual prizes were given after votes from the directorate and media. 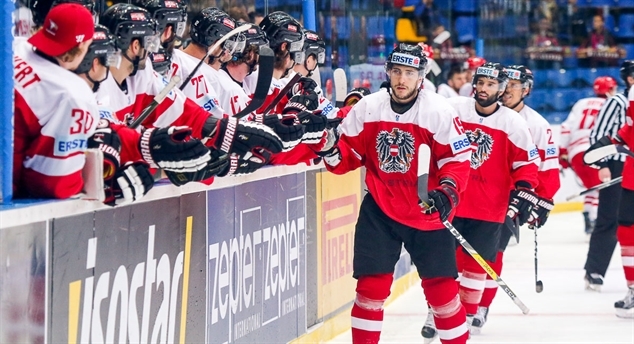 Lebler finds home in Linz With a regulation-time win against Poland (or help from the other teams), Austria hopes to earn promotion today and return to the top division. 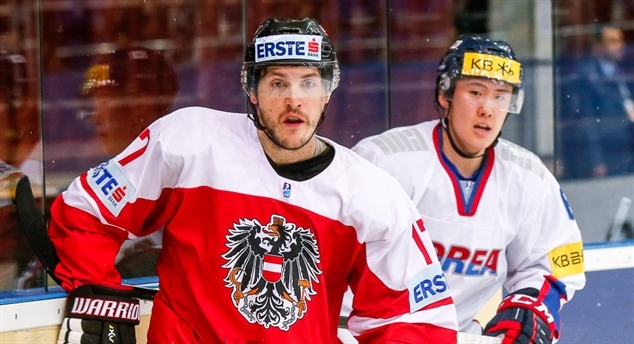 Austria finds magic formula The Koreans were on the way to promotion after starting with three wins but Austria took them down to earth with a 5-0 win and took the lead in the standings. Poland remains in race Poland beat Hungary 2-0 to remain in the race for promotion while for Hungary the dream of returning to the top division is over. Ukraine hopes to build legacy The 2017 IIHF Ice Hockey World Championship Division I Group A may have been a success in many areas for Ukraine. Just not for the results on the ice. Sanghoon! Sangwoo! 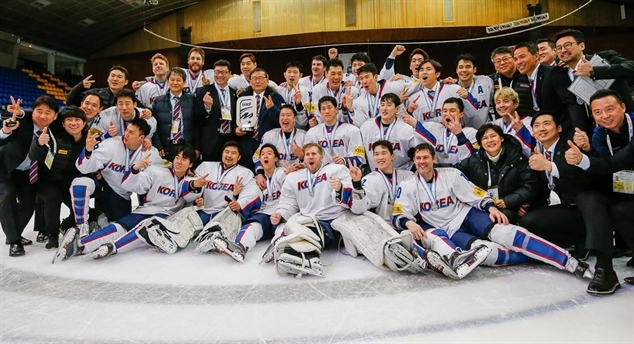 Korea also won its third game of the 2017 IIHF Ice Hockey World Championship Division I Group A in Kyiv, 3-1 vs. Hungary. The chance to earn promotion rises. Tower in Korea’s defence In 2007 Edmonton drafted Alex Plante in the first round, so playing international hockey isn’t a surprise. Just that his debut came 10 years later – with Korea.